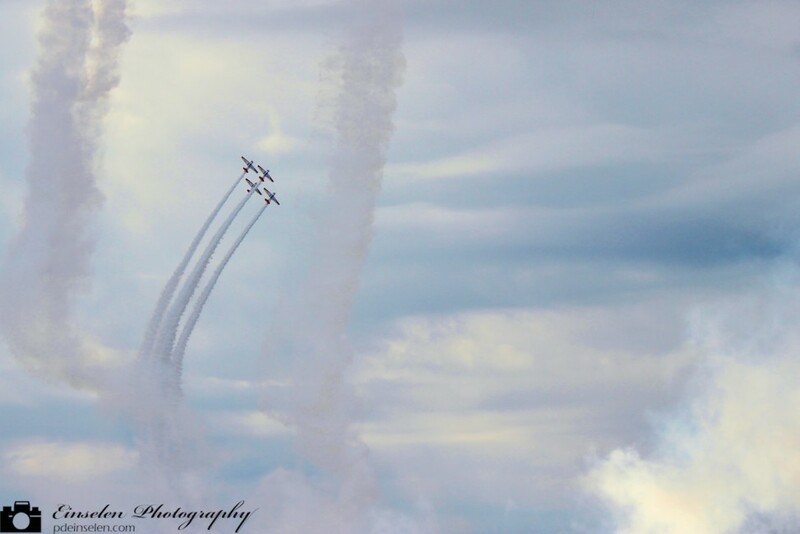 This is a photo of the Aeroshell Aerobatic Team from MacDill Air Force Base Airfest. The Aeroshell Aerobatic Team were performing as we were driving through the main gates of MacDill Air Force Base. Traffic was backed up so this allowed me to take out my telephoto lens to capture photos from a distance. It was fun to watch the planes from this distance as you would be able to see the full formation and patterns as well see the pilots setup for the next pass above the crowds. I really like this shot as you can see the initial loop the planes preformed before circling back around and banking. This photo reminds me of a motivational poster. It was an overcast day so I took some liberties to touch up the sky to make it more blue than gray.